The YogaFit for Warriors team headed to Sembach, Germany in March, where they introduced yoga to Army soldiers. In the process they received as much as they gave. In the middle of her YogaFit training, LTC Kerryn Story suddenly realized that the yoga she was learning could benefit the men and women she served with in the US Army’s 30th Medical Brigade. The 30th Medical Brigade are “victory medics,” a Combat Operational Stress Control Team (COSC), tasked with “distributing resiliency training and tools to populations in challenging environments,” which can be highly stressful. What if yoga could help them develop the resiliency tools they needed to do their jobs and to face the challenges in their own lives. 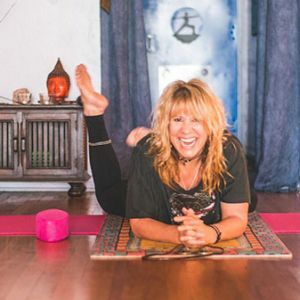 After all, her training taught her that this yoga went much deeper than the physical— the bending, stretching, and strengthening people generally associated with the practice—and touched every aspect of a person’s life—physical, mental, and emotional. So, Kerryn wrote up a proposal for a program called Warrior Strong, Warrior Fit, and YogaFit’s Warrior program won the contract to lead the yoga portion of the training. Shaye Molendyke, an army veteran herself and the director of YogaFit’s Warriors, admits that this was her most rewarding experience. “Taking our training to the military directly was a dream come true,” she says. The intent behind the program perfectly parallels the YogaFit philosophy: Receive and then give back. 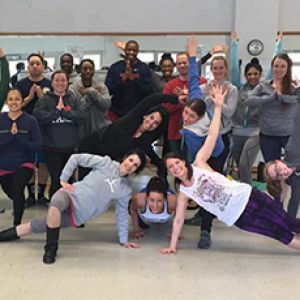 Two YogaFit trainers, Kelly Gardner and Kim Gray, were tasked with teaching yoga and mindfulness to the Physical Fitness Leaders in the Brigade. In return, the leaders were required to teach the soldiers in their own units—free of charge—during their three-times-a-week PT sessions. Their eight hours of “community service teaching” were part of YogaFit’s grassroots approach to integrating yoga into the military. But don’t take our word for it. Here are a few pretty amazing quotes that speak to the power of yoga and the strength of the Warrior Strong, Warrior Fit program. For the first time, I was able to understand why PTSD happens, that it happens to everyone during a traumatic event, and why some people recover in days while other have not been able to for years. It's confirmation that it is not a weakness at all. Rather it is physiological and can be corrected by working with the nervous system. Whether you are are yogi or not, this course is HIGHLY effective resiliency and recovery training. If you are not a talker and are looking for a way to learn what you can do to help get your mental and physical body back in balance, this is an excellent resource! I went into this course with several "stereotypes" of what yoga was… What I took away from this course was far beyond a physical training outside the norms of the military fitness. I found myself discussing the impact of what I experienced with a few colleagues of mine and, although they hold the very same thoughts I did initially, I'm thankful for transformation. I look forward to teaching the classes as I am certain I will begin with my own family since they often seem to be the biggest critics. I wanted to say I am thankful for what you do and how your program had the ability to reach different levels of the attendees as they peeled those layers back during open discussion. I think that as a whole was the most weighted part of the program for me aside from the competitive nature of my inner self. I'm still working towards the need to let go of “competition” for myself as I find some of those positions challenging. Thank you once again....I look forward to testing the different levels of yoga and working towards improvement physically and mentally. Hope to write you one day and let you know I've reached my expectations. We salute you YogaFit Warriors and your incredible team of trainers. 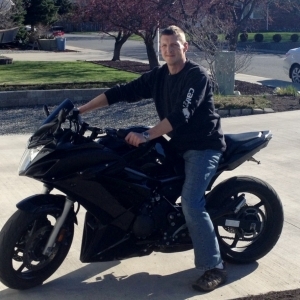 To find out more about the 100- and 140-hour YogaFit for Warriors program, click here.